With temperatures rising across the US, it's high time to break out the barbecue. With Memorial Day beckoning in the summer season, get a head start this week with a series of articles featuring the best grilling recipes, techniques and ideas around. So ladies and gentlemen, start your grills! Charred and smoky peppers filled with a rich cheesy filling, these alternately stuffed peppers are 100% vegetarian and totally delicious. 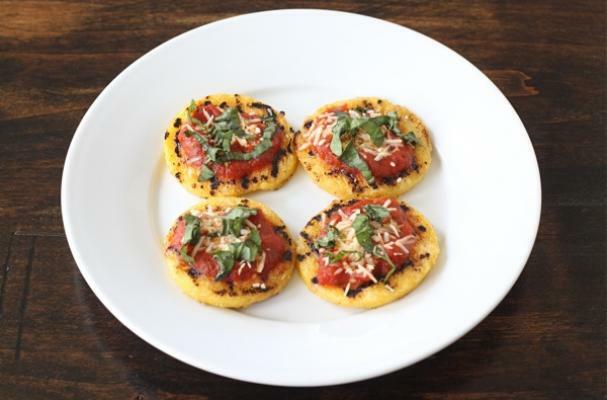 Slice, brush, grill and go - nothing could be easier than this grilled bruschetta! Add a taste of Thai to your next barbecue with this zesty salad. Adapted from Elise Wiggins of Panzano in Denver and NYT. Prep time: 10 minutes. Serves 4. Heat a grill to as hot as it can get, at least 600 degrees. Slice 2 hearts of well-chilled romaine down the middle, keeping the core at the bottom intact. Brush cut sides with olive oil and season with salt and pepper. 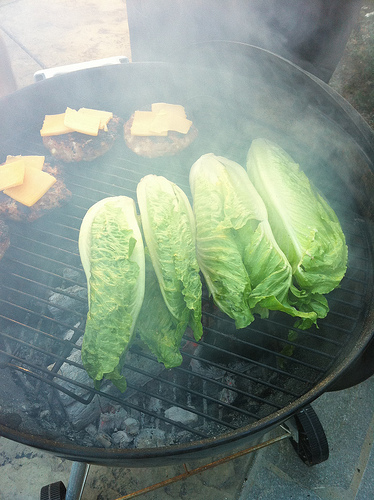 Place romaine, cut-side down, onto the hottest part of the grill and cook for ideally no more than 5 to 10 seconds, until a char is achieved (be careful not to overcook and wilt the lettuce). Remove from grill. Slice each half of romaine lengthwise, to create two pieces, and cut off the bottom core, so the leaves separate. Loosen and plate leaves. Make the dressing In a small blender, blend chopped garlic, Dijon mustard, egg yolks, anchovy filets, lemon juice, Worcestershire sauce and cracked black pepper. Add olive oil and whisk. Drizzle over lettuce. Sprinkle with grated parmesan cheese to taste and toss.